Holiday Inn Express Amsterdam South is located near the Jewish community of Amsterdam and therefore you will also find many Orthodox Synagogues within walking distance and special Shabbat amenities are available in the hotel. The hotel offers a daily kosher buffet breakfast. The hotel also offers special kosher sandwiches. 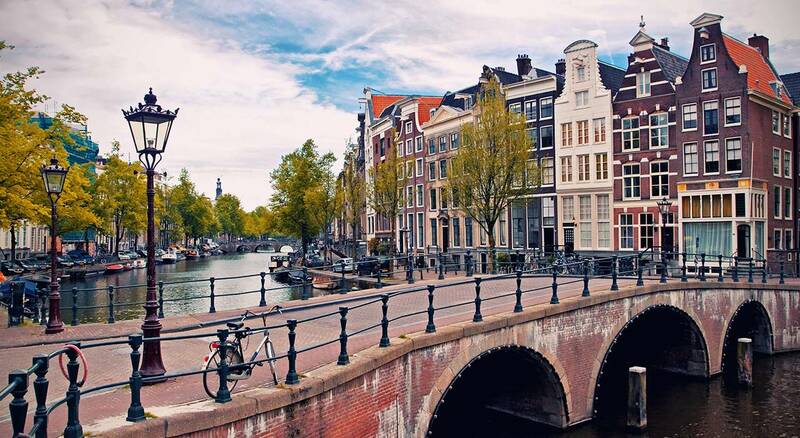 From the Holiday Inn Express Amsterdam, all major Amsterdam locations are very close. Take the metro from the hotel the metro stop is at the end of the street, only a few minutes walk and within 15 minutes you are in the city centre of Amsterdam. The hotel does not offer teudat kashrut because none of the kosher food is prepared at the hotel. Everything is bought at the kosher groceries here in Amsterdam who are under the supervision of the local Rabbinate. The hotel does have Shabbat facilities. Keys, hot water and a hot plate to warm up the shabbat meals. Holiday Inn Express Amsterdam South is located in the middle of a Jewish area. Synagogues and kosher restaurants are within walking distance from the hotel. Jewish guests come specially to the hotel because of all the kosher facilities. The hotel has a refrigerator behind the reception where the staff can store the Kosher meals for the guests. During Shabbat, the hotel provides a hot kettle and a hot plate. An elegant hotel in Amsterdam, near South Axis, offering easy access to Schiphol Airport and the city center. The hotel offers a daily Kosher Buffet breakfast. The hotel also offers special kosher sandwiches. From the Holiday Inn Express Amsterdam South, all major Amsterdam locations are very close. Take the metro from the hotel -the metro stop is at the end of the street, only a few minutes’ walk- and within 15 minutes you are in the city centre of Amsterdam. The hotel does have Shabat facilities. Keys, hot water and a hot plate to warm up the shabbat meals. The hotel has a refrigerator behind the reception where the staff can store the Kosher meals for the guests. During Shabbat, the hotel provides a hot kettle and a hot plate. The hotel offer 80 spaces and luxery rooms. Less than 20 minutes by tram or metro, Anne Franck׳s house receives more than a million visitors a year. You will see the secret annex in which the young author of the famous newspaper and her family hid during the Second World War, as well as many documents and photographs well preserved. To avoid waiting in high season, book your museum tickets online. It is on 2 wheels that Amsterdam appreciates the best. Ask our staff how to book a bike tour or rent your own for an adventure along the 17th century canals. Do not forget to visit the floating flower market on the Singel Canal and buy pre-packaged bulbs to grow beautiful Dutch tulips at home. 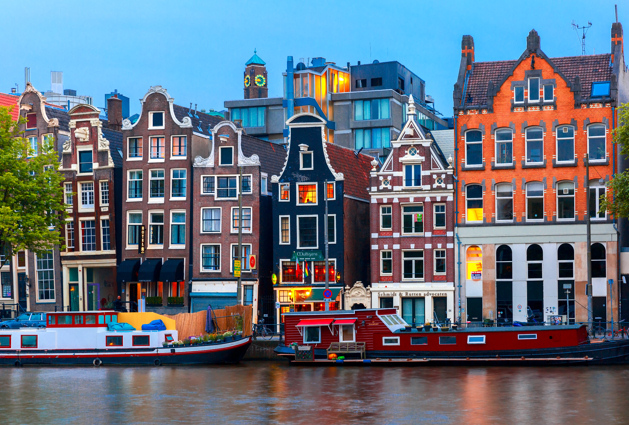 With close proximity of the A10 around Amsterdam, you can easily travel to many main destinations in the Netherlands Haarlem, The Hague, Utrecht, etc. And also sightseeing to the most important sites for instance the Rijksmuseum, Van Gogh Museum, Anne Frank House and the Royal Palace- are in good reach via public transport. Holiday Inn Express hotel offers every morning a free Kosher breakfast. For lunch and dinner the hotel does not have a restaurant. There are several Kosher shops and restaurant at walking distance from the hotel. At this shops you can arrange your Kosher meals. For your Shabbat meals, the hotel offers a hot plate which you can use for heating up your food. Of course you can have a seat-table in the breakfast area. Time by Taxi - 15 min. Head NE turn L toward Schiphol Boulevard, turn R, take the ramp to A4, take exit E22-A10 W toward Centrum-Zaanstad-Leeuwarden-Ring, merge onto A10-E22, exit on s108 toward Buitenveldert, take a left into the Amstelveenseweg-​s108, take a left into the Van Nijenrodeweg. Here you will find the hotel at Zwaansvliet.